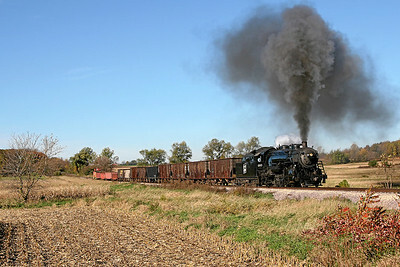 Photos from October 2007, featuring Soo Line 2-8-2 #1003 (Alco built 1913) with freight trains on the Wisconsin & Southern Railroad. 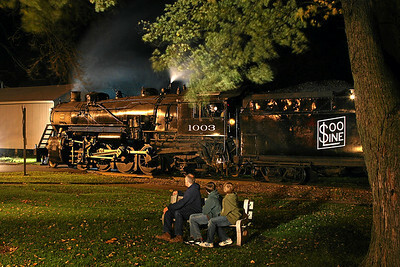 For more information, visit the 1003's Official Website. 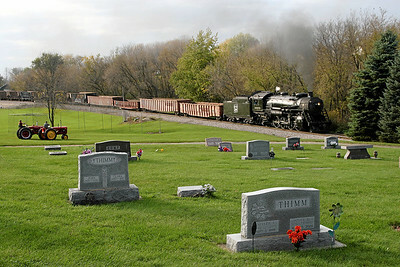 A father and his sons admire Soo Line 1003 in Brandon, Wisconsin. 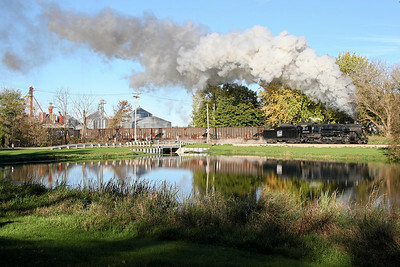 Soo Line 1003 charges east across West Street and past the pond in Fairwater, Wisconsin. 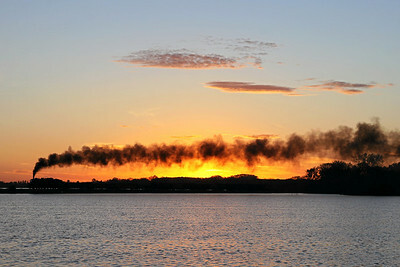 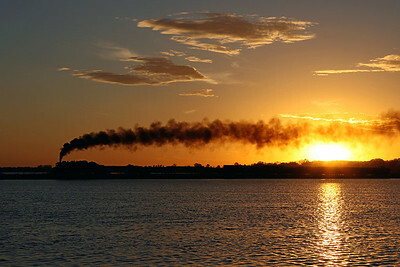 Soo Line 1003 crosses Beaver Dam Lake at sunset near Fox Lake, Wisconsin. 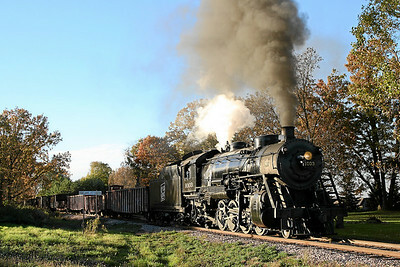 Eastbound Soo Line 1003 approaches Fairwater, Wisconsin. 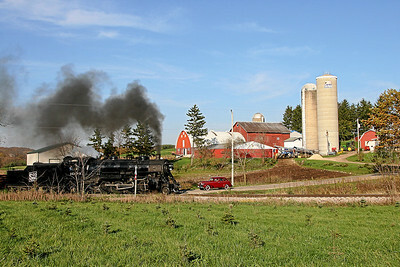 Soo Line 1003 charges south across Grant Road toward Rubicon, Wisconsin. 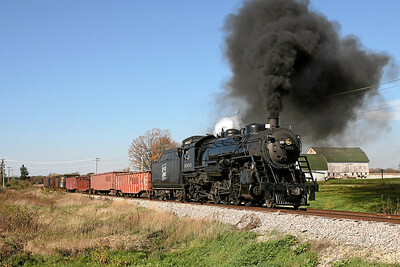 Soo Line 1003 heads west through Rolling Prairie, Wisconsin. 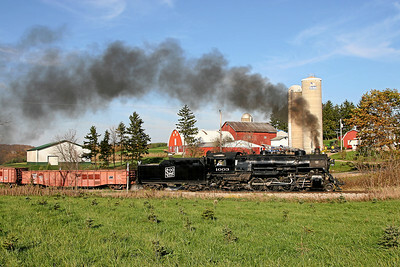 Soo Line 1003 heads south at County Road I in Atwater, Wisconsin. 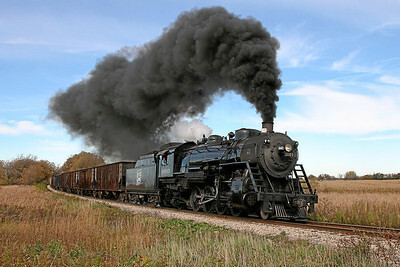 Soo Line 1003 charges east toward Brandon Road in Brandon, Wisconsin. 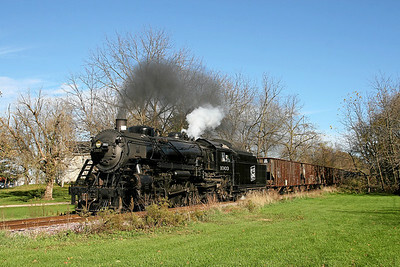 A velocipede takes the siding at Brandon to let Soo Line 1003 head south through town. 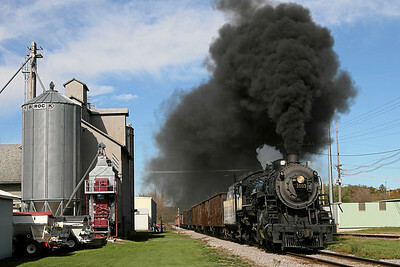 Soo Line 1003 crosses Jackson Street and storms through Waupun, Wisconsin. 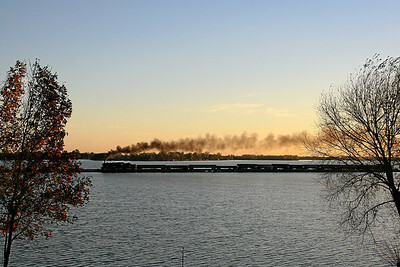 Eastbound Soo Line 1003 crosses Beaver Dam Lake at sunset near Fox Lake, Wisconsin. 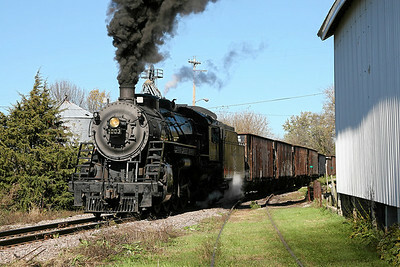 Westbound Soo Line 1003 approaches Spring Street in Beaver Dam, Wisconsin. 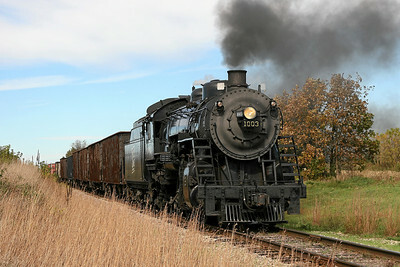 Southbound Soo Line 1003 approaches Red Cedar Road in Atwater, Wisconsin. 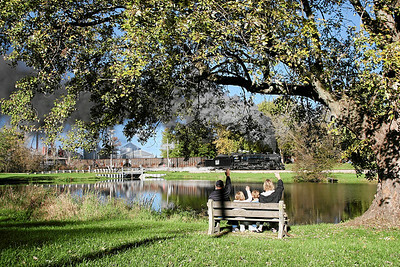 A family waves to Soo Line 1003 from Church Street in Fairwater, Wisconsin. 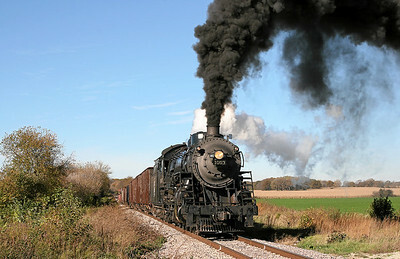 Soo Line 1003 charges south approaching Woodland Road in Woodland, Wisconsin. 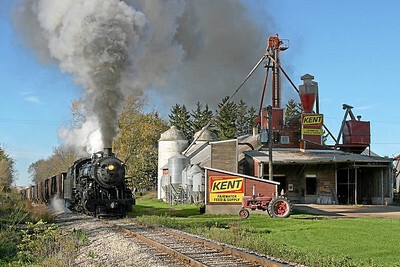 Soo Line 1003 charges south through the farmland south of Atwater, Wisconsin. 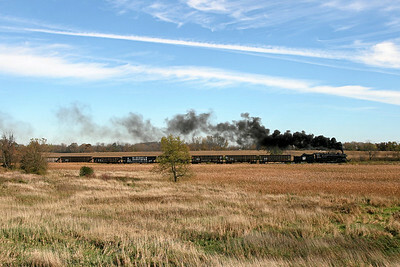 Soo Line 1003 exits the wye at Brandon and heads south toward Horicon, Wisconsin. 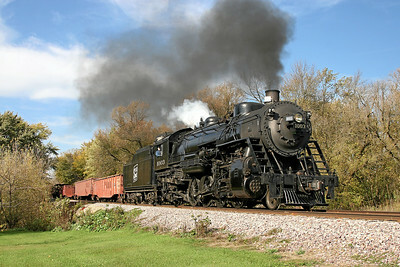 Southbound Soo Line 1003 approaches Butler Road in Woodland, Wisconsin. 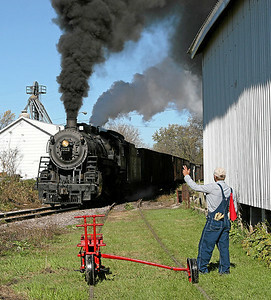 Soo Line 1003 charges south along Commercial Street in Brandon, Wisconsin. 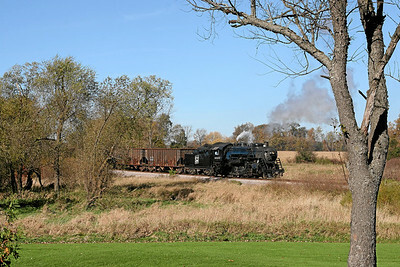 Eastbound Soo Line 1003 passes Beaver Dam Country Club in Beaver Dam, Wisconsin. 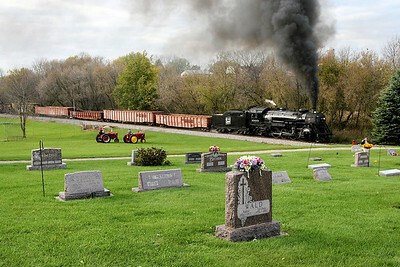 Soo Line 1003 passes St. John's Catholic Church in Rubicon, southbound enroute to Hartford, Wisconsin. 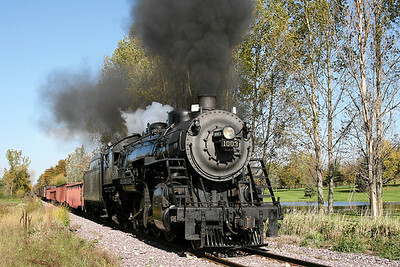 Soo Line 1003 approaches the junction at Brandon before heading west to Fairwater, Wisconsin. 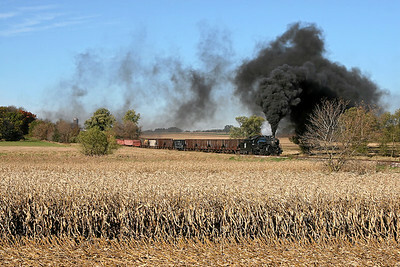 Soo Line 1003 charges east from Beaver Dam, approaching County Road A enroute to Horicon, Wisconsin. 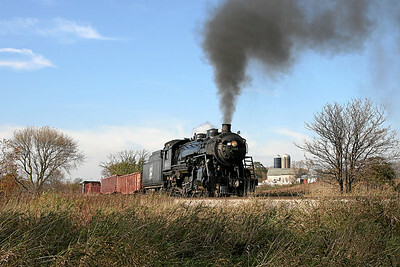 Soo Line 1003 heads east toward Brandon Road in Brandon, Wisconsin. 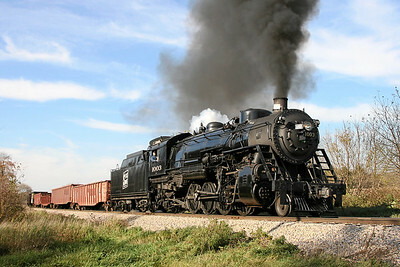 Eastbound Soo Line 1003 nears the Route 49 grade crossing in Round Prairie, Wisconsin. 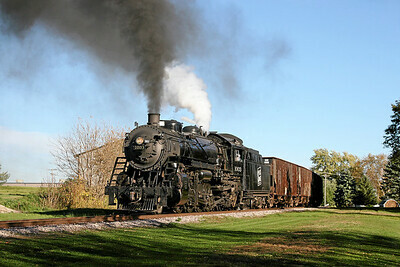 Eastbound Soo Line 1003 approaches the County Road C crossing in Randolph, Wisconsin. 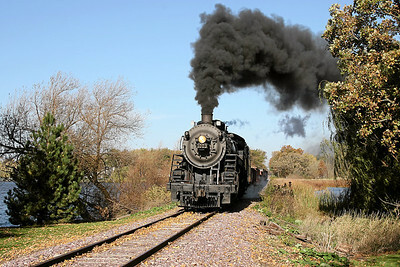 Soo Line 1003 charges east along Beaver Dam Lake, approaching McKinley Beach Road in Beaver Dam, Wisconsin. 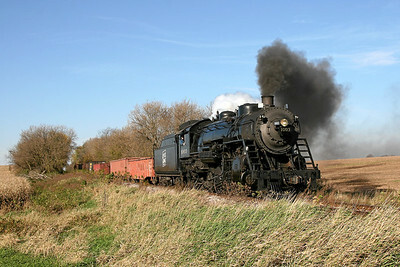 Soo Line 1003 approaches the Hull Road crossing, southbound from Horicon, Wisconsin. 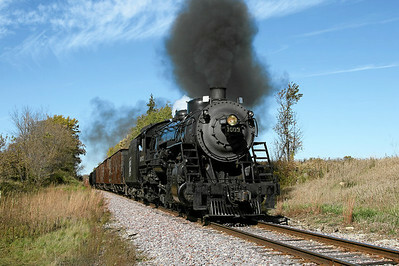 Southbound Soo Line 1003 steams across Grant Road toward Rubicon, Wisconsin. 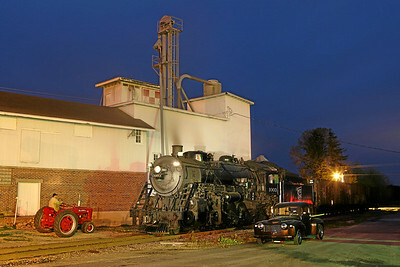 Soo Line 1003 assembles a train at Fox Lake Junction before heading west to Randolph, Wisconsin. 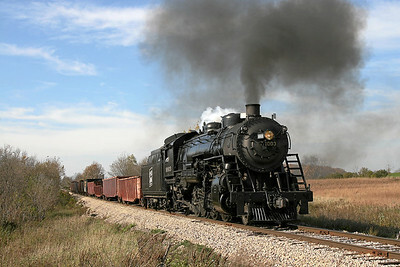 Southbound Soo Line 1003 approaches Heideman Road just north of Waupun, Wisconsin. 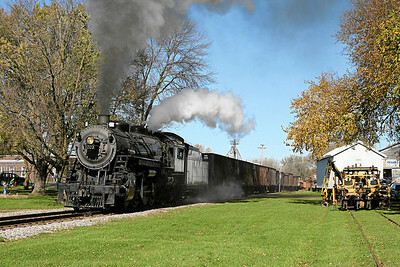 Eastbound Soo Line 1003 passes the park off West Street in Brandon, Wisconsin. 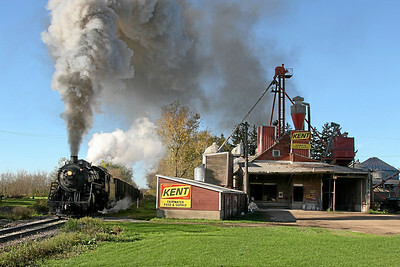 Soo Line 1003 pauses at Brandon before heading west to Fairwater, Wisconsin. 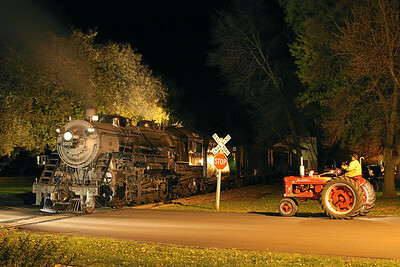 Southbound Soo Line 1003 charges past St. John's Catholic Church on Rome Road in Rubicon, Wisconsin. 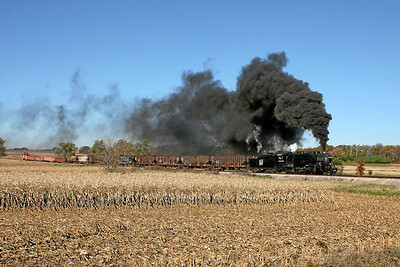 Soo Line 1003 charges south near Butler Road in Woodland, Wisconsin.